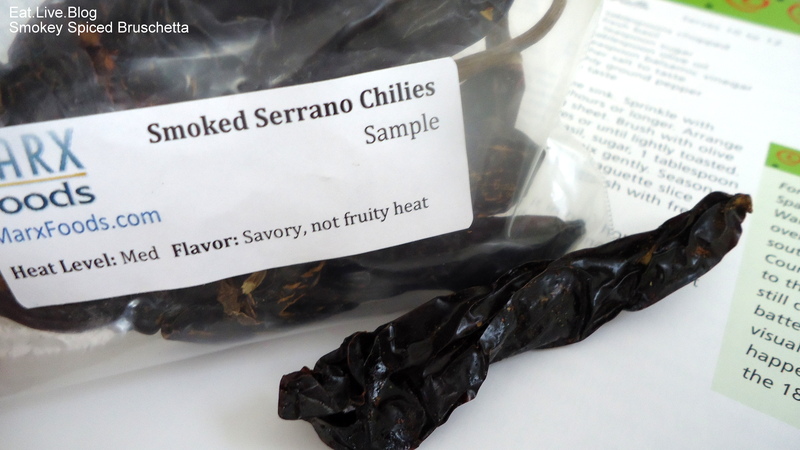 Smoked serrano pepper. Learn it, live it, love it. This thing is amazing. It is the perfect amount of spice (for me, at least…which may be spicy to some), and a seriously lovely smokey flavor that shines through, even when I only used one pepper. As a recap, I am participating in a Chilly Chile contest through Marx Foods, hence the plethora of pepper recipes. 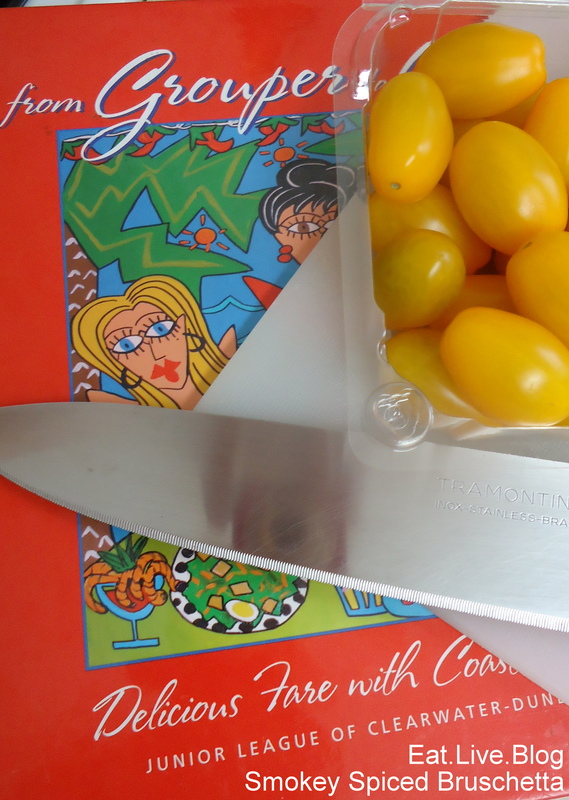 My favorite summer potluck dish of all time is a bruschetta recipe I have adapted over the years from the Junior League of Clearwater – Dunedin’s cookbook, From Grouper to Grits. The second I was told I needed to develop a cold recipe, I knew I needed to make yet another adaptation to this old favorite recipe. I was planning on using the pequin pepper again, but when I took a sniff of the smoked serrano, I knew that would be the perfect pepper to punctuate this plate. Man, was I right (insert pat on back)! 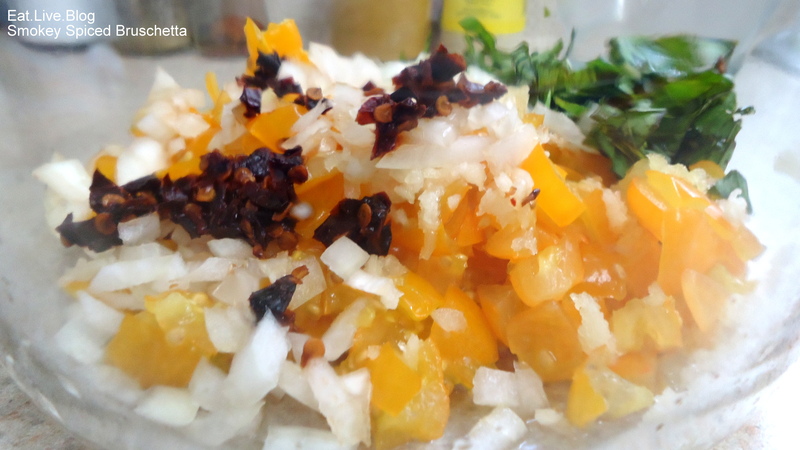 The smokiness of this pepper cannot be explained through a blog post. You have to try it. And mixed with the summery sweetness and tang of the bruschetta, it was a perfect palate pleaser! Just a little warning though, you want to let your diners know that this is a spicy dish. It packs quite a bit of a bite! 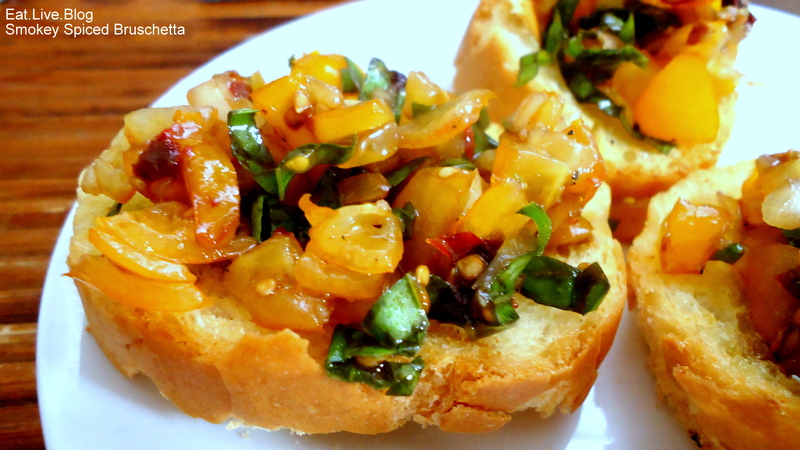 Traditional bruschetta is served over thin slices of french bread, brushed with olive oil and baked until crispy. However, it is also good on top of chicken, on salads, on pretzel crisps, or any way you can conjure up! 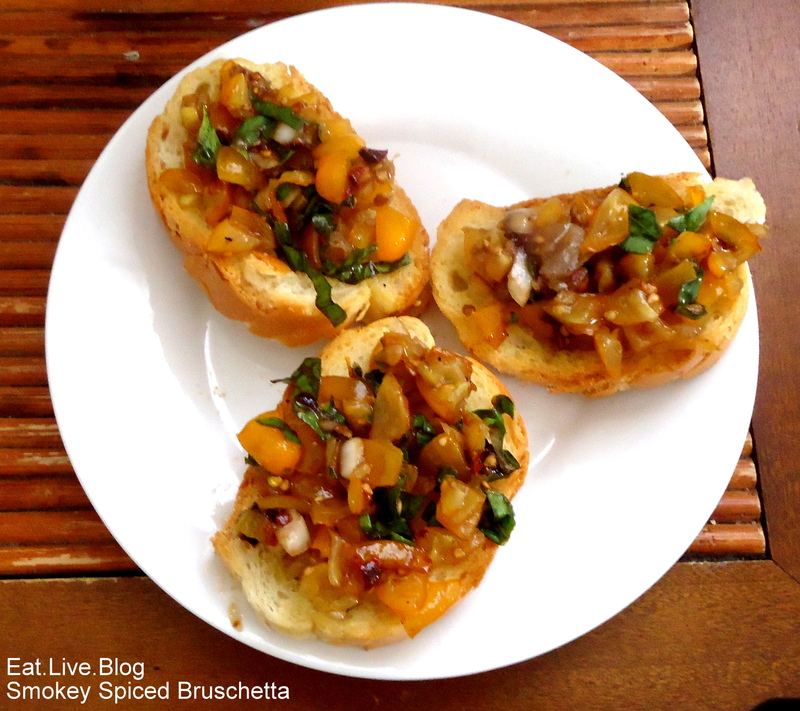 This entry was posted in Recipes and tagged appetizer, bruschetta, marx foods, potluck, recipe, smokey, spicy, summer, tomato by reneeh. Bookmark the permalink. Smoked serrano?! Yum!! This sounds right up my alley!